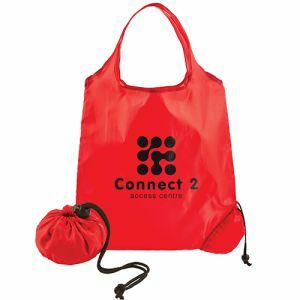 Promotional Packaway Shopper Bags. 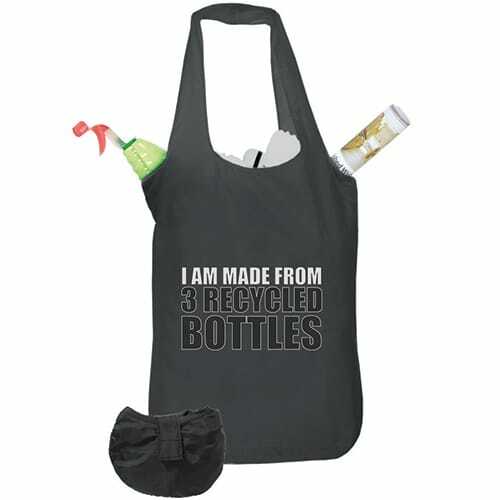 This printed shopping bag is made from 51% recycled PET, (Polyethylene Terephthalate) packs neatly away into an attached pouch for easy storage and printed to one side with 'I am made from 3 recycled bottles'. 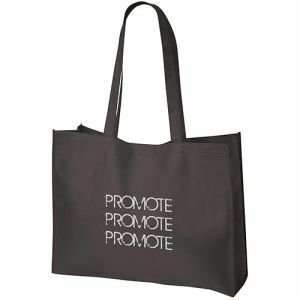 Available in black, this is a useful, environmentally friendly personalised shopping bag for all business ideas. 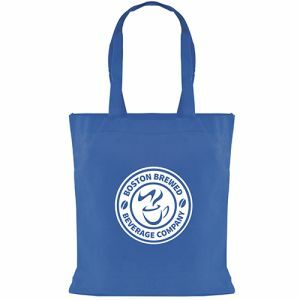 With recycled shopping bags in such wide use today, this is sure to get your brand/logo noticed. 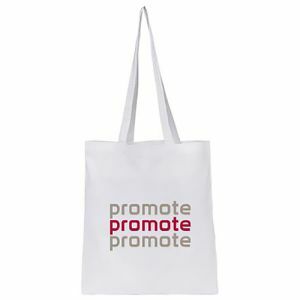 Prices include a colour personalisation to 1 side as stated. Prices exclude Origination, Carriage & VAT.